In 1948, Bernard Silver over heard a conversation between the Dean of Engineering and a super market executive asking if Drexel Institute could work out how to capture product information at the retail stores checkout. The Dean was not interested in the project, however, this sparked some interest in Bernard Silver’s mind. Bernard mentioned the overheard conversation to Joseph Woodland, another lecturer at Drexel. They both worked together on the idea for a while and Woodland decided that the project was definitely a possibility. Woodland, having left Drexel and moved to Florida, still pondered the idea. Whilst on a Florida beach he compared the problem to Morse Code and started to draw dots and dashes in the sand. He then pulled downwards with his fingers in the sand producing thin lines from the dots. 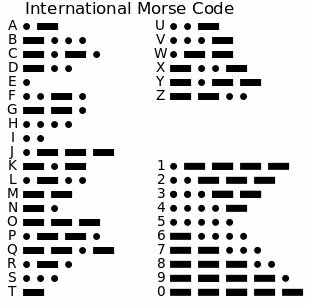 From the image in the sand, he came up with the idea of a 2 dimensional linear Morse code and discussed the idea with Bernard Silver. They applied for a patent in 1949 which was granted in 1952. Woodland had joined IBM in 1952 and both Woodland and Silver had hoped that IBM would be interested in developing the technology, however IBM did not consider the project to be financially viable and eventually the pair sold the patent on in 1952 for $15,000. The patent was sold on again to RCA Corporation where attempts to develop the technology for commercial use were made. In 1969 RCA approached the National Association of Food Chains and between them they formed the U.S. Supermarket Ad Hoc Committee for the Uniform Grocery Product Code. 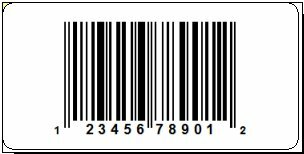 It was then in 1971 that RCA’s competition IBM became involved, they moved Woodland to North Carolina where he helped to develop the Universal Product Code know as UPC barcode. In June 1974, the first item to be scanned was a packet of Wrigley’s chewing gum at a supermarket in Ohio. Today around 5 billion products are scanned per day all thank to a few lines in the sand!